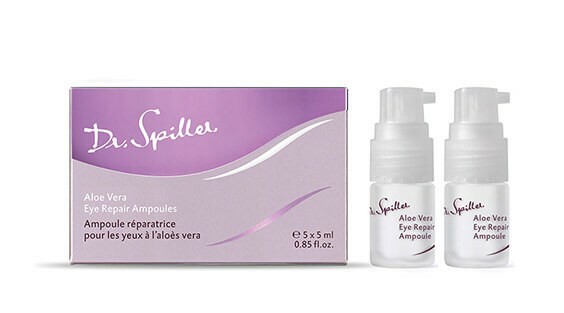 Aloe Vera Eye Repair Ampoules fortify and decongest the eye area to reduce puffiness. They enhance firmness and reduce dark circles. Aloe Vera Eye Repair Ampoules contain a fortifying eye serum that enhances firmness and reduces dark circles. Marine Collagen and Hyaluronic Acid fortify the connective tissue while Wheat Protein enhances elasticity. The increased ability to bind moisture provides freshness to decongest and visibly smooth the skin of the eye area.